While your ship is in port in Akaroa Harbour, take a shore excursion to tour the scenic Banks Peninsula and visit the city of Christchurch. You’ll see how Christchurch is emerging from the devastation of the 2011 earthquake, take a stroll through the city’s beautiful botanic gardens and admire New Zealand’s magnificent scenery. Experience the grand architecture and beautiful gardens of Christchurch when your ship is in port in Akaroa. Your shore excursion from Akaroa port also includes a scenic trip through the Banks Peninsula and entry to the most popular attraction in Christchurch, the International Antarctic Centre. Enjoy the center’s Snow and Ice Experience, Blue Penguin Encounter and take an exhilarating ride in an all-terrain Hagglund vehicle. 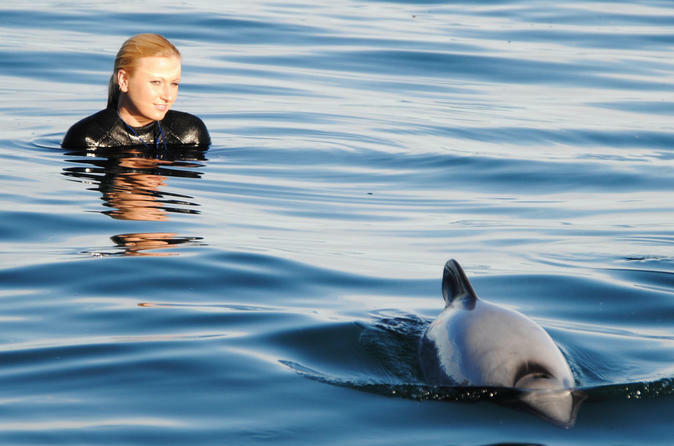 Make a date with the worlds smallest, rarest and friendliest dolphins only on Akaroa Harbour. 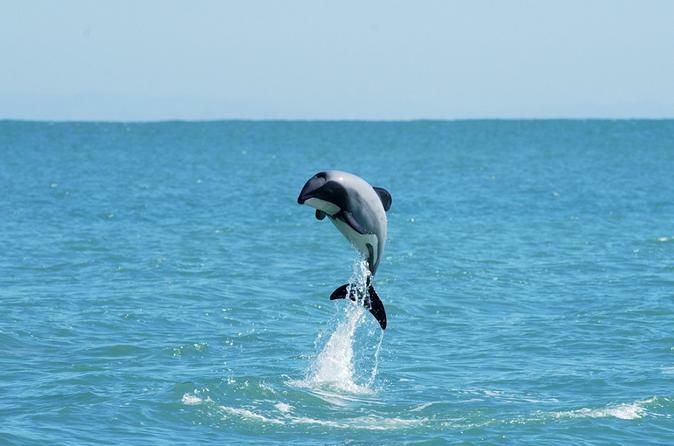 There is only one place on the planet where you can swim with Hector Dolphins also known as the New Zealand Dolphin and that is the beautiful sheltered Akaroa Harbour. 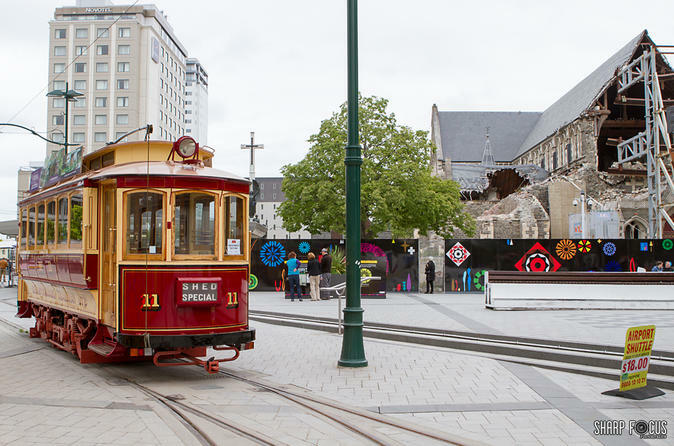 Take a guided Christchurch city tour when your ship is docked in Akaroa port, and visit a traditional sheep farm to experience life in rural New Zealand. 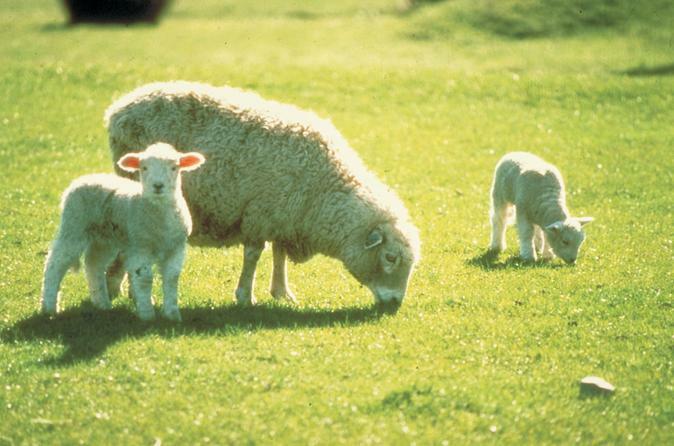 After seeing the Christchurch city sights, your Akaroa shore excursion takes you into the countryside to feed the animals, watch a sheep-shearing demonstration and see sheep dogs at work. 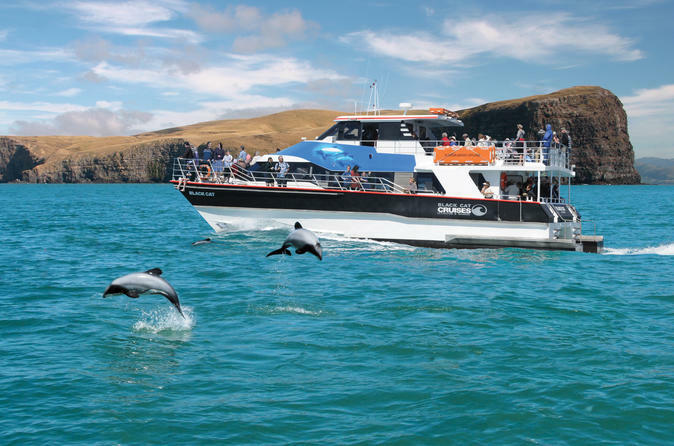 After your cruise ship docks in Akaroa, take a nature cruise across the harbor to spot dolphins and admire New Zealand’s stunning scenery. Look out for New Zealand’s friendly Hector’s dolphins, the world’s rarest and smallest dolphins, and bring your camera along on your shore excursion to photograph soaring volcanic cliffs, secluded sea caves and tropical palm trees. 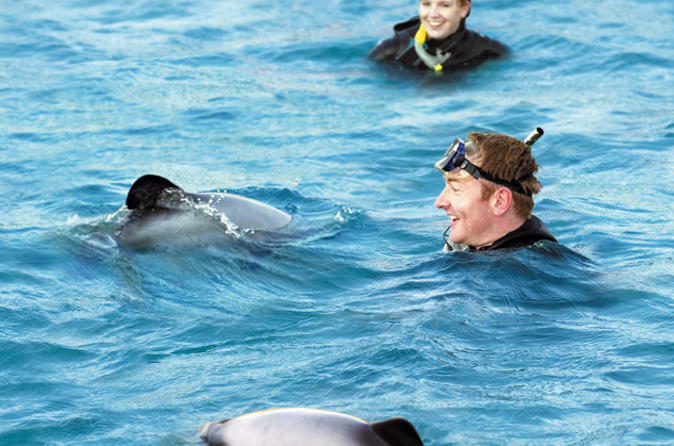 When your cruise ship docks in Akaroa, take a shore excursion to swim with the world’s smallest, rarest and friendliest dolphins -- Hector’s dolphins. 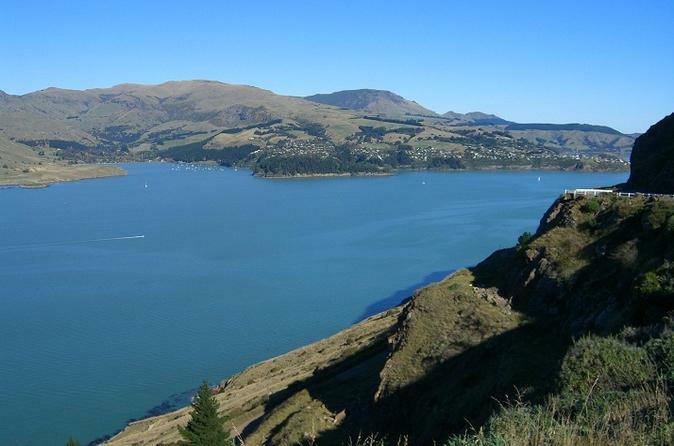 Akaroa’s beautiful sheltered harbor is the only place on the planet where you can swim with Hector’s dolphins, also known as the New Zealand dolphin. With a maximum of 12 swimming participants, this tour provides a fun-filled small-group experience. 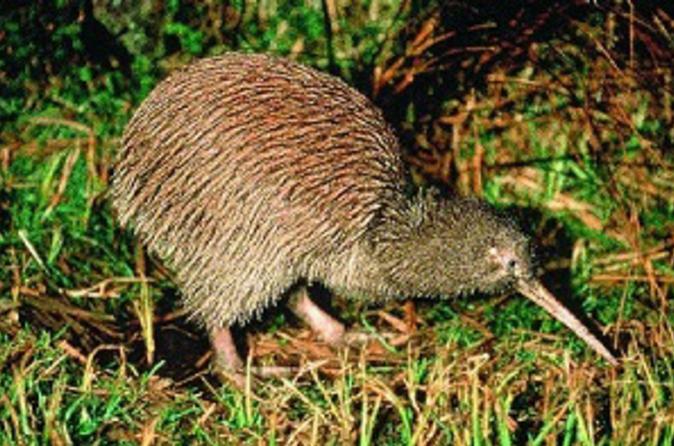 Join this small-group shore excursion city tour of Christchurch, also known as the ‘Garden City’. 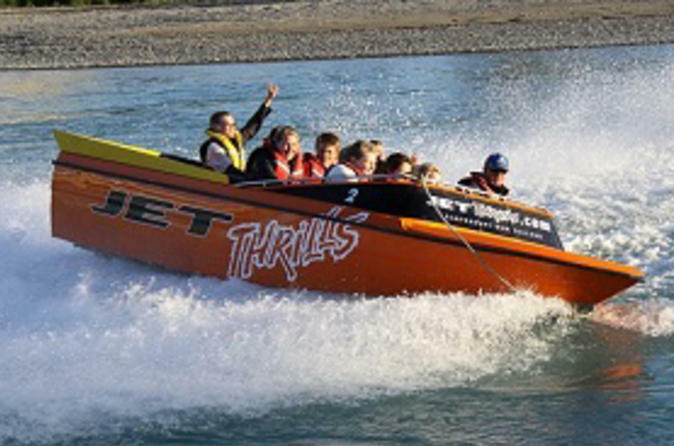 Departing from Akaroa, arrive in Christchurch and enjoy viewing the sights and experience one of Christchurch's famous activities the City Tram, Punting on the Avon or the Botanic Gardens tour or just a stroll through the Garden City.